CCTV Bangalore: At Union Bank ATM in Ejjipura near KR Puram, Bangalore this incident took place where in the ATM Guard was bled to death. Such cases occur in places where we have people less in number and at night time. But, there are hopes using CCTV Cameras to at least catch hold of such culprits and give justice to the victims of such cases. We found a this piece of news at India Today. Recently we came across that CCTV should be installed in all the school buses. That is how the actions should be taken before such things happen. Below the actual news of India Today about CCTV Bangalore. A manhunt has started in Bangalore after a 25-year-old guard of an ATM was found bleeding to death 15 hours he was attacked. 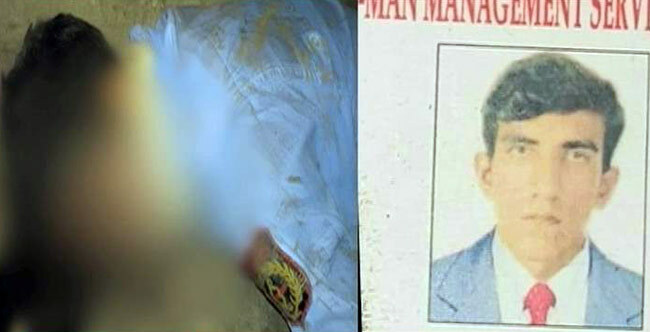 Minatullah Bariba’s body was found lying in a pool of blood inside the Union Bank ATM at Ejjipura near KR Puram in Bangalore. Police said he was attacked at the steps outside the ATM. At 3.10 am on Sunday, he was found 15 hours later when the other guard came to relieve him from his shift. Bariba hails from Assam. Police said the CCTV footage shows an attacker in his 30s who seemed to spend around 4 minutes while attempting to open the ATM machine. He did not rob any money. The police is exploring both robbery as well as personal rivalry as the motive behind the murder. Eoxys Smart Solutions helps customers keeping their valuable safe by providing cost-effective CCTV Cameras in and around Bangalore. Our services do not stop here, we also have Tablet based Education, Smart Classroom Solutions. Keeping our customers happy and designing security solutions according to their need is one our best qualities. We will always keep you posted.